Hi dog this is Andy, with some more hacking nargery. Today the topic is generators. By way of introduction, you might recall (with a shudder?) a couple of articles I wrote in the past on delimited continuations. I even gave a talk on delimited continuations at FrOSCon last year, a talk that was so hot that thieves broke into the the FrOSCon video squad's room and stole their hard drives before the edited product could hit the tubes. Not kidding! The FrOSCon folks still have the tapes somewhere, but meanwhile time marches on without the videos; truly, the terrorists have won. Anyway, the summary of all that is that Scheme's much-praised call-with-current-continuation isn't actually a great building block for composable abstractions, and that delimited continuations have much better properties. My bigger suggestion is to remove call/cc and dynamic-wind from the base library into an optional feature. I'd like to add the note inviting the discussion for more appropriate abstractions to supersede call/cc -- such [as] generators, for example. Generators are a wide term, some versions of generators are equivalent (equi-expressible) to shift/reset. Roshan James and Amr Sabry have written a paper about all kinds of generators, arguing for the generator interface. And you know, generators are indeed a very convenient abstraction for composing producers and consumers of values -- more so than the lower-level delimited continuations. Guile's failure to standardize a generator interface is an instance of a class of Scheme-related problems, in which generality is treated as more important than utility. It's true that you can do generators in Guile, but we shouldn't make the user build their own. Generators can be restricted to disallow backtracking, as in Python. This allows generators to yield without allocating memory for a new saved execution state, instead updating the stored continuation in-place. This is commonly called the one-shot restriction. Generators can also restrict access to their continuation. Instead of reifying generator state as external iterators, internal iterators call their consumers directly. The first generators developed by Mary Shaw in the Alphard language were like this, as are the generators in Ruby. This can be called the linear-stack restriction, after an implementation technique that they enable. With that long introduction out of the way, I wanted to take a look at the proposal for generators in the latest ECMAScript draft reports -- to examine their expressiveness, and to see what implementations might look like. ES6 specifies generators with the the first kind of restriction -- with external iterators, like Python. Also, Kiselyov & co. have a hip new paper out that explores the expressiveness of linear-stack generators, Lazy v. Yield: Incremental, Linear Pretty-printing. I was quite skeptical of this paper's claim that internal iterators were significantly more efficient than external iterators. So this article will also look at the performance implications of the various forms of generators, including full resumable generators. As you might know, there's an official ECMA committee beavering about on a new revision of the ECMAScript language, and they would like to include both iterators and generators. Here, int_gen is an iterator that returns successive integers from 0, all the way up to infinity2^53. To indicate the end of a sequence, the current ES6 drafts follow Python's example by having the next method throw a special exception. ES6 will probably have an isStopIteration() predicate in the @iter module, but for now I'll just compare directly. Now, I don't think that we can praise this code for being particularly elegant. The end result is pretty good: we take a limited amount of a stream of integers, and combine them with a fold, without creating intermediate data structures. However the means of achieving the result -- the implementation of the producers and consumers -- are nasty enough to prevent most people from using this idiom. These definitions are mostly equivalent to the previous iterator definitions, and are much nicer to read and write. I say "mostly equivalent" because generators are closer to coroutines in their semantics because they can also receive values or exceptions from their caller via the send and throw methods. This is very much as in Python. Task.js is a nice example of how a coroutine-like treatment of generators can help avoid the fraction-of-an-action callback mess in frameworks like Twistednode.js. There is also a yield* operator to delegate to another generator, as in Python's PEP 380. OK, now that you know all the things, it's time to ask (and hopefully answer) a few questions. Firstly, has the ES6 committee made the right decisions regarding the iterators proposal? For me, I think they did well in choosing external iterators over internal iterators, and the choice to duck-type the iterator objects is a good one. In a language like ES6, lacking delimited continuations or cross-method generators, external iterators are more expressive than internal iterators. The for-of sugar is pretty nice, too. Of course, expressivity isn't the only thing. For iterators to be maximally useful they have to be fast, and here I think they could do better. Terminating iteration with a StopIteration exception is not so great. It will be hard for an optimizing compiler to rewrite the throw/catch loop terminating condition into a simple goto, and with that you lose some visibility about your loop termination condition. Of course you can assume that the throw case is not taken, but you usually don't know for sure that there are no more throw statements that you might have missed. I think it might be fair to say that it's easier to implement an ES6 iterator, but it is easier to use a Dart iterator. In this case, dart_fold is much nicer, and almost doesn't need any sugar at all. Besides the aesthetics, Dart's moveNext is transparent to the compiler. A simple inlining operation makes the termination condition immediately apparent to the compiler, enabling range inference and other optimizations. I put up a test case on jsPerf. If you click through, you can run the benchmarks directly in your browser, and see results from other users. It's imprecise, but I believe it is accurate, more or less. The summary of the results is that current engines are able to run a basic summing for loop in about five cycles per iteration (again, assuming 2.5GHz processors; the Epiphany 3.6 numbers, for example, are mine). That's suboptimal only by a factor of 2 or so; pretty good. Thigh fives all around! However, performance with iterators is not so good. I was surprised to find that most of the other tests are suboptimal by about a factor of 20. I expected the engines to do a better job at inlining. Better inlining and stack allocation is already a development focus of modern JS engines. Dart-style iterators will get faster without being a specific focus of optimization. It seems like a much better strategy for the ES6 specification to piggy-back off this work and specify iterators in such a way that they will be fast by default, without requiring more work on the exception system, something that is universally reviled among implementors. In practice, invoking a generator is not much different from calling a stateful closure. For this reason, I added another test to the jsPerf benchmark I mentioned before that tests stateful closures. It does slightly worse than iterators that keep state in an object, but not much worse -- and there is no essential reason why it should be slow. On the other hand, I don't think we can expect compilers to do a good job at inlining generators, especially if they are specified as terminating with a StopIteration. Terminating with an exception has its own quirks, as Chris Leary wrote a few years ago, though I think in his conclusion he is searching for virtues where there are none. 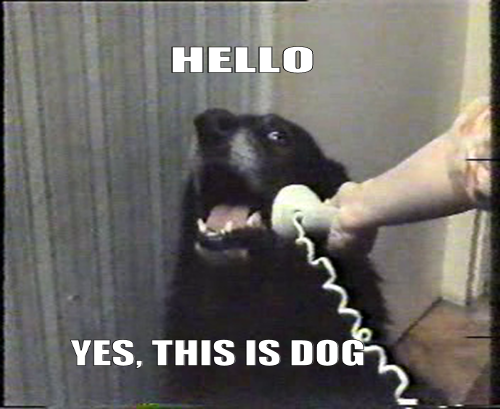 So dog, that's ECMAScript. But since we started with Scheme, I'll close this parenthesis with a note on resumable, multi-shot generators. What is the performance impact of allowing generators to be fully resumable? Being able to snapshot your program at any time is pretty cool, but it has an allocation cost. That's pretty much the dominating factor. All of the examples that we have seen so far execute (or should execute) without allocating any memory. But if your generators are resumable -- or even if they aren't, but you build them on top of full delimited continuations -- you can't re-use the storage of an old captured continuation when reifying a new one. A test of iterating through resumable generators is a test of short-lived allocations. Anyway these numbers are much lower than the iterator tests. ES6 did right to specify one-shot generators as a primitive. In Guile we should perhaps consider implementing some form of one-shot generators that don't have an allocation overhead. Catch you next time, dog! I expected the engines to do a better job at inlining. Perhaps, for v8 on ia64 and arm, it's the heap-allocated variables? Here in the future, unless you're on ia32, it's still deadly: hydrogen.cc . Sigh. The comparable feature in D would be ranges (http://dlang.org/phobos/std_range.html). They are kind of a generalization of iterators and defined as a family of interfaces. Multi-shot generators would be a "ForwardRange" for example. It provides a save() function for backtracking. traceur-compiler has been able to desugar generators into a state-machine for months now. Also, if you want ES6, you should try it ;). this is the great post..if you want learn by the this blog..
You could visit here to use online word solver. Veuillez visiter notre site web pour l'achat d'un LG ! Please shar eour website !